Chinese Direct Activists Strike Again! Love these Chinese activists! Please stop condemning the “barbaric Chinese” in racist generalizations. 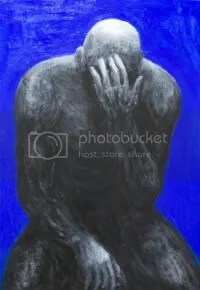 These activists have more courage than ten thousand Western activists, especially of the “vegan abolitionist” stripe, and cannot be applauded enough for their cutting-edge tactics, examplary use of direct action strategies, and reminding us what true “animal advocacy” means in practice — action in the streets, not e-petitions and pamphleting! 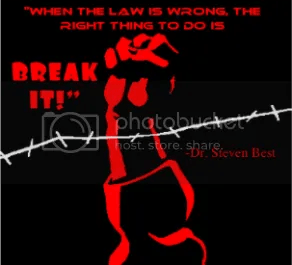 Unlike Westerners, the Chinese animal rights activists get the fundamental point: you do not follow unjust laws, you break them! Your don’t watch a truck carry animals to slaughter, you stop it! 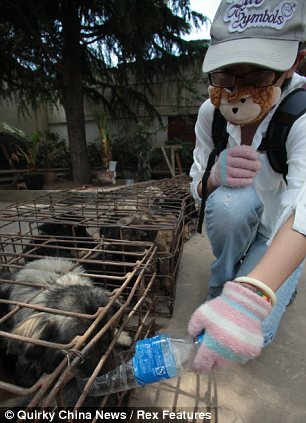 Tags: animal liberation, chinese animal activism, direct action. 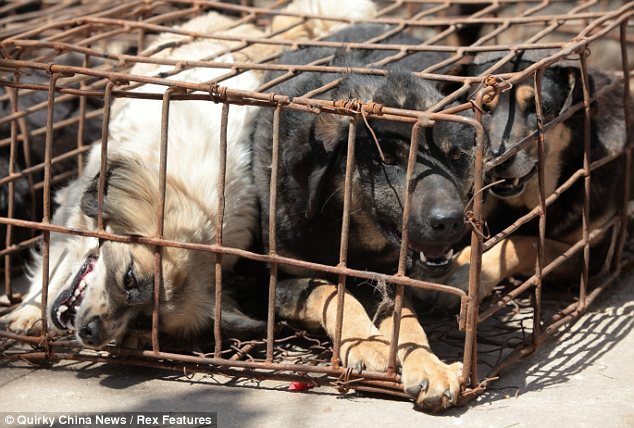 Dogs destined to be slaughtered and served up in China’s restaurants were saved when the truck transporting them was intercepted by animal rights activists. 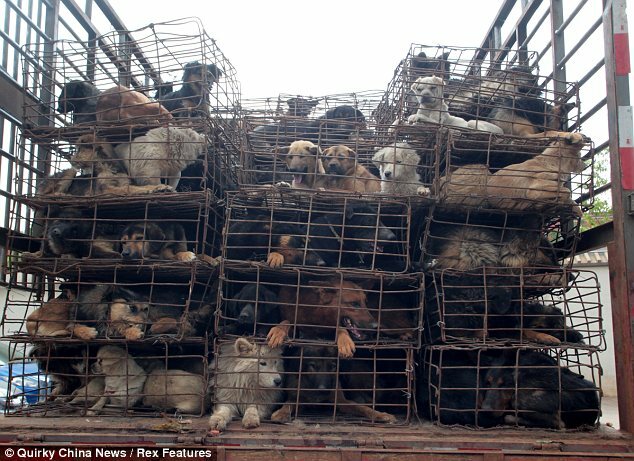 The vehicle, carrying 505 canines packed into just 156 tiny cages, was stopped on Yunnan Province’s highway from Fumin to Kunming after other drivers spotted its sickening cargo. 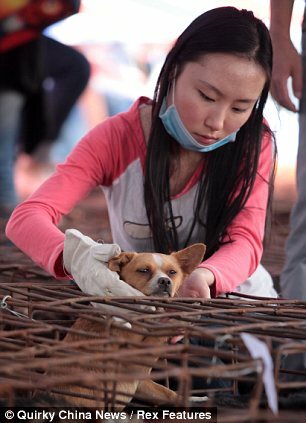 However, a private dog rescue centre then stepped forward and brought all of the dogs off their owner for 60,000 Yuan (£5,900).